As posted on The Loop some days ago, LeAnn Rimes shot the video to her latest single "Gasoline and Matches", entirely on an iPhone. As I talked about earlier this year, the iPhone is being used more and more to produce video related content on a professional basis. The video for the song consists mainly of a stop motion story with the artists appearing in picture frames while also interacting with their surroundings. To not describe the whole video to you, just watch it below, and if you want to read more about the process of producing the video, you can do it on The Loop's site. Oh and by the way, I'm not sure where Jim Dalrymple got the video from, but there's one difference between the version from The Loop's site and the YouTube video. 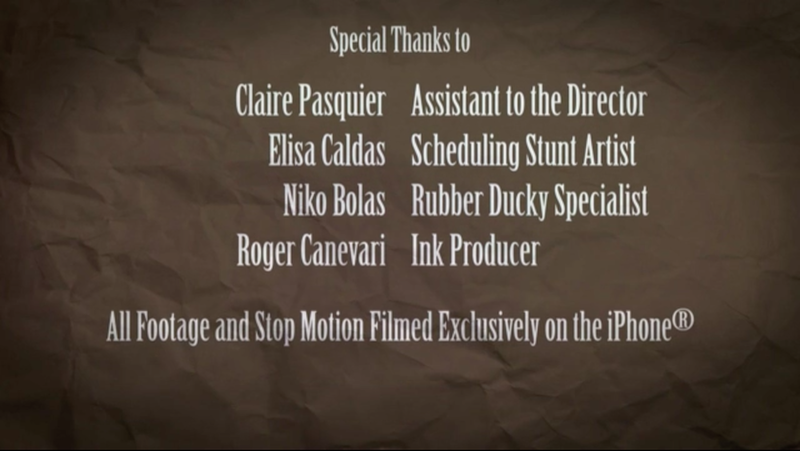 This is at the end of the credits on The Loop's source.